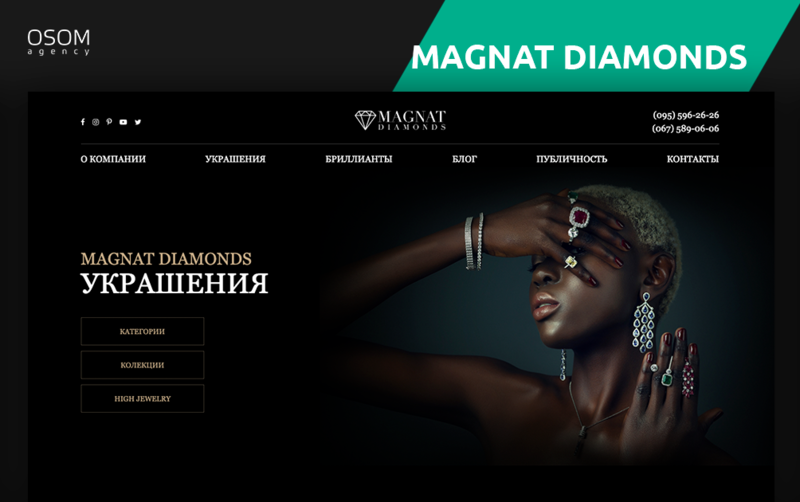 Website development for the premium jewelry store Magnat Diamonds. To present the Magnat Diamonds brand as a premium jewelry house and showcase available products with the possibility of purchasing or applying for a showroom visit. We created a catalogue in a minimalist style and focus on products. 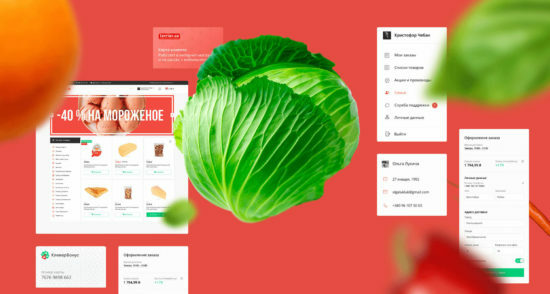 Since the products are different, we have added an option of editing and personalizing each page of the site in the admin panel. Using a black background and large high-quality images of jewelry products, we emphasized the exclusivity of brand products and premium status. 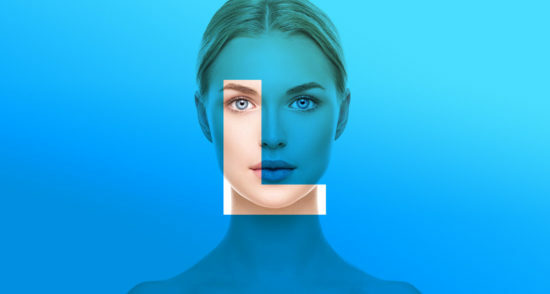 Since the majority of users come from social networks or advertisements at various status events, it was very important to work out an adaptive version on smartphones so that users would get the same effect as on the desktop version.